Play Rare Tokyo Mew Mew Anime & Manga Dress Up Game. 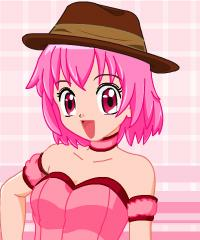 Dress Up Ichigo Momomiya, the Girl with Pink Hair & Super Power. Tokyo Mew Mew is a Japanese shōjo manga series written by Reiko Yoshida and illustrated by Mia Ikumi. The girls in Tokyo Mew Mew are Mint Aizawa, Lettuce Midorikawa, Pudding Fong, and Zakuro Fujiwara. These girls are protecting the earth from aliens who are trying to take control over the earth. Go Play this Amazing Anime Game For Free Online.